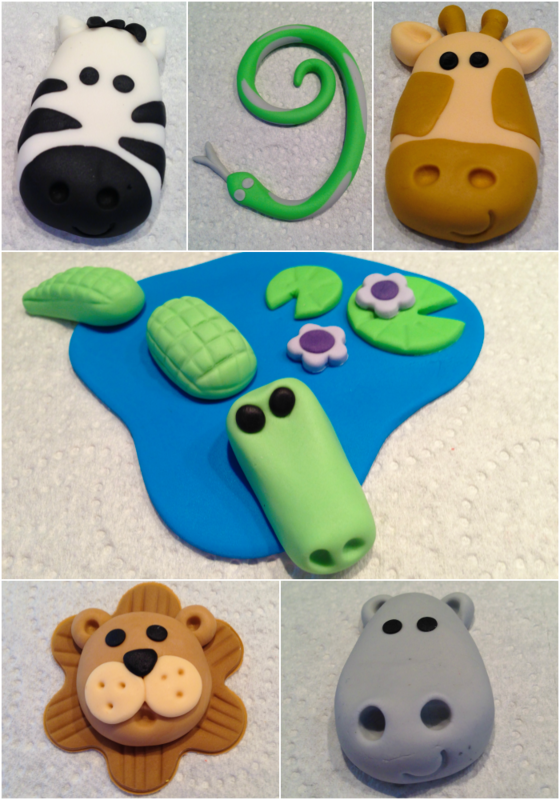 A while ago I offered to make some fondant decorations for a friend to put on her daughters’ birthday cake. There were only two days to go until her party so I said nothing too big that would take a long time to make and dry. Her first thoughts were athletics and gymnastics, which scared me when I imagined making little people in a rush. But then she told me her daughter also loved jungle animals, so we went with that theme – much easier to make animals than people! I had a look around pinterest and decided on some very cute three dimensional animal faces and some leaves. 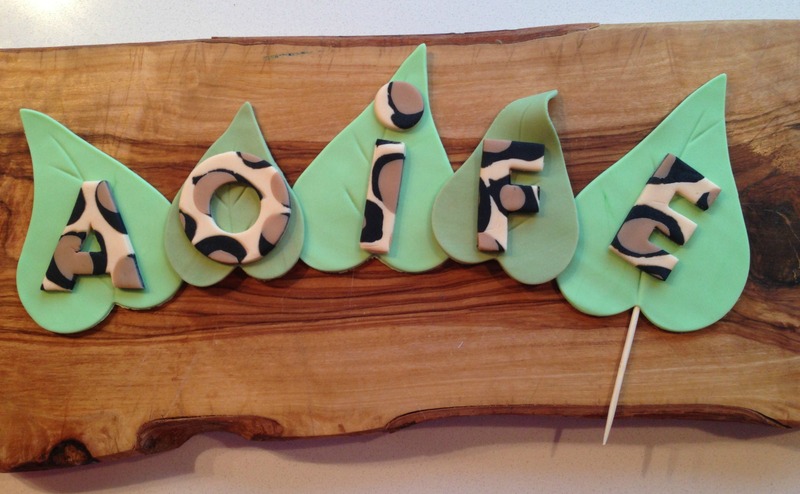 I also made leopard print letters to spell out the birthday girls name. For the animal print I found some great instructions at taste.com. They also did zebra and giraffe print. I guess the only problem with this technique is the waste factor, because if you roll out the fondant a second time all the colours mix together to make a yucky brown goo! The animals looked great on the cake, and were a big hit with the kids. Each child got to take one home in their lolly bag! 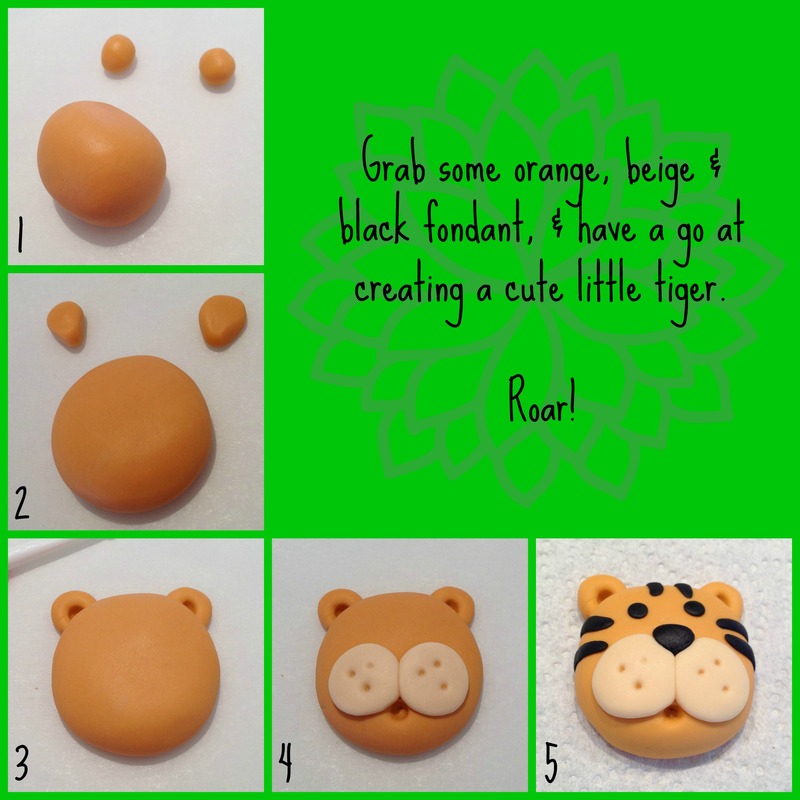 Below are some basic pictorials on how to make a few of the animals. It’s my first attempt so I apologise if they’re difficult to follow! 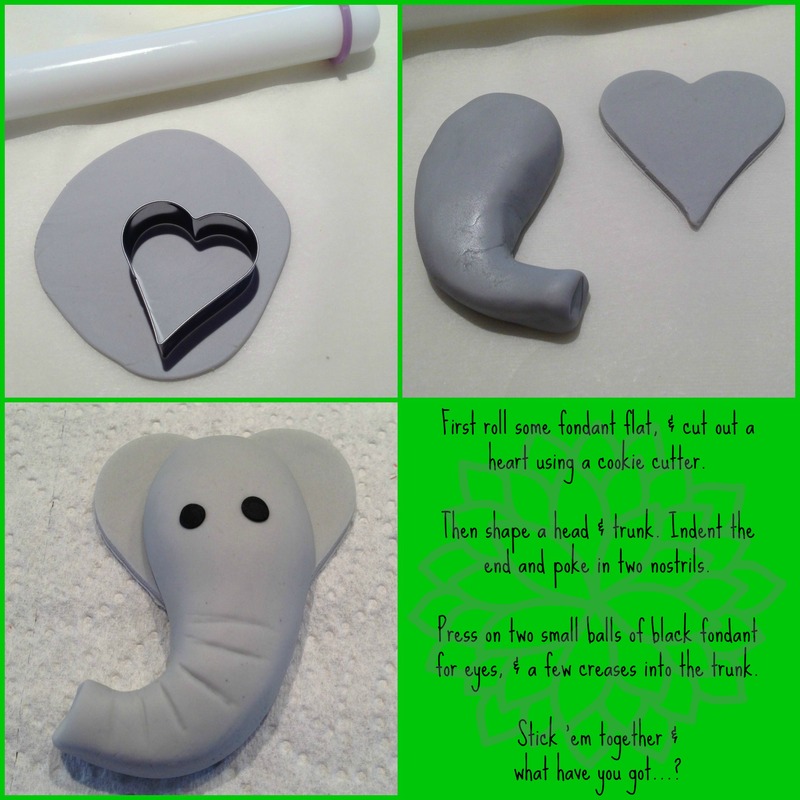 So why not not have a go at making some of these for your childs’ next birthday? They’re easy, and fun to make. You could even let your kids try to make some. I didn’t do a step by step for all of the animals, but I’m happy to if anyone needs more help. Go on, give it a go! I love these! Do you have a picture of the finished cake and can I please have instructions for all animals? Can’t wait to try these! Would love to know how to do each animal…they are gorgeous! Please could you send through instructions. Do you cook the fondant afterwards? Sure Lisa! I will make a more in-depth tutorial once the school holidays are over! If I did it now, I think there would be more eating than constructing!